I suspect most home buyers making an offer are hoping it will be accepted, or at least will reach agreement with the seller after negotiations. You want to put your best foot forward, otherwise it’s a waste of your time, and you won’t get the house you want! But sometimes buyers sabotage their offers but don’t realize this. The good news is these are all avoidable. Not getting a pre-approval from a qualified and reputable lender, and excluding written proof – a pre-approval letter – of your qualifications, will ruin your chances of getting your offer accepted pretty fast, and be an immediate turnoff to the seller and to the listing agent. If you and your lender do not document you are financially qualified to buy the property, and close, no seller is likely to accept your offer. And as a buyer you certainly want to know up front what you can afford and what you want to spend. Be sure any letter you submit is current, not 6 months old! 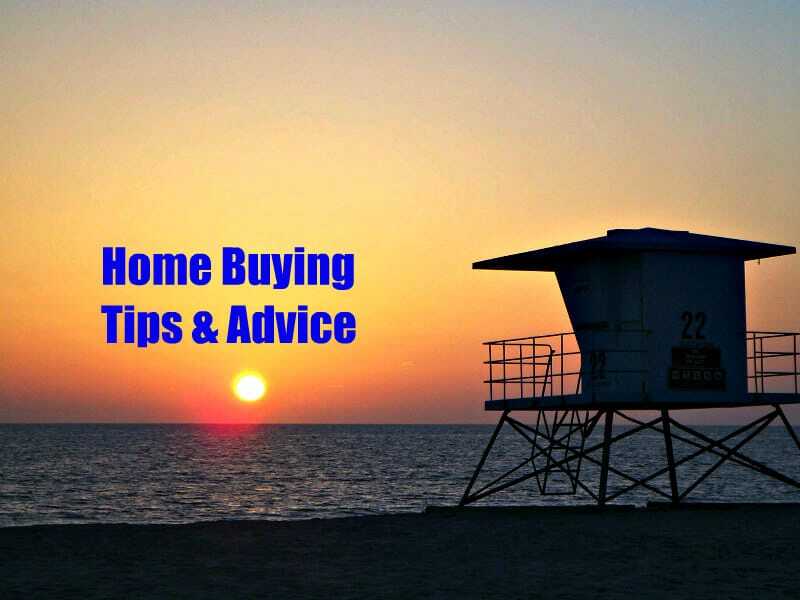 And if you are paying cash, a prudent buyer will include proof of funds (POF) with the offer, as the seller and agent want to know that you do, in fact, have all that money to purchase the home and pay the closing costs. Every buyer wants a deal, and prefers to spend less than asking price. 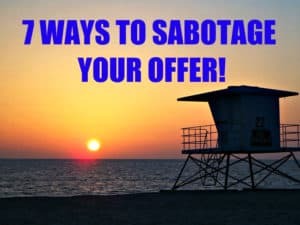 But submitting a low ball offer is a sure way to sabotage your offer, in particular when there are multiple offers and many homes are selling at or above asking price, such as in Carlsbad and the San Diego area in general. You will not only sabotage your chances of negotiating with the seller but the seller may simply reject your offer outright or even ignore it. Sellers are counseled by their agents to not take low offers personally, but they do anyhow. Why take that risk if you really want the property?! While the offering price is important, it’s not the only thing sellers consider, and issues with terms and conditions, other than price, can jeopardize negotiations or at least make them more challenging. And when there are multiple offers, the focus should be on the cleanest offer you can submit, not one filled with all sorts of demands. That’s NOT to say you should not request certain things that are reasonable (e.g., appliances) but the key is “reasonable.” For example, if the sellers really want or need 30 days and you demand 60 or more, or vice versa, that could be a problem. And if your offer is a low one and the terms and conditions are viewed as unrealistic by the seller, your offer is at greater risk of rejection. In our competitive seller’s market requesting the seller to pay closing costs will probably not work. So put yourself in the seller’s shoes…are you being unrealistic about your terms and conditions?! In our area a deposit with the offer is normally 1 – 3% of the offer price; a low deposit is not going to demonstrate to the seller you are serious. It becomes an even bigger issue when there are multiple offers and buyers are submitting substantial deposits. If your deposit is lower than typical for the marketplace, or not competitive, count on the seller and the listing agent not being impressed – they want to see some skin in the game! This may not be totally in your control when you are working with a buyer agent. Putting your best foot forward means that the offer you submit should be complete, without errors, contain all the appropriate signatures, and include all the necessary paperwork. It goes without saying that before you sign you should review the offer in detail, whether you do this in person with your agent or online. It’s important that your offer represent YOUR wishes correctly and not have any mistakes. Having reviewed hundreds of offers I can tell you that sloppy paperwork and errors are a big red flag, for sellers but especially for their agents, and can sabotage your offer, even a good one. A sloppy offer might imply that you and your agent may be sloppy about other things as well during the transaction which raises the risk of a smooth closing. You have no doubt heard the phrase “when you snooze you lose” and that happens a lot in a busy seller’s market. Yes, buyers usually want to think about the house and an offer, but with the competition if you wait to make an offer there is a good chance you will miss out. I am NOT saying you should decide hastily…that can be a huge mistake, too. You can maximize your chances of success in this market by being mentally prepared to move forward quickly, being pre-approved, understanding the local market conditions (inventory, buyer demand and competition, are homes selling for over asking), and creating a strong offer with clean, and reasonable, terms and conditions. Local market conditions – such as buyer demand and available inventory – have a huge impact on pricing, competition, the types of terms and conditions included in offers, how quickly you need to make an offer, and more. While you can do some research online and watch the sales, the BEST way to get thoroughly educated is through your Realtor. Your Buyer Agent can explain these conditions to you and help you understand what they mean for your offer strategy, including the offer price. If they don’t do this, ASK. If they don’t really know, find a new agent! Yes, you have the right to make decisions about your offer, including the price, terms and conditions. But ignoring good advice can certainly have consequences. It’s your choice! If you want the house, listen up and put your best foot forward, and promptly!